Is it ethical to code fear of god into a simulated being? Nobody knows, so we made some tuna salad sandwiches and just did it. Who is god in this context? It’s us ;), we are gods, what fun! Yes, Jun and I are working on bringing the simulated world TO LIFE. Or rather, making it feel alive by creating a responsive environment. 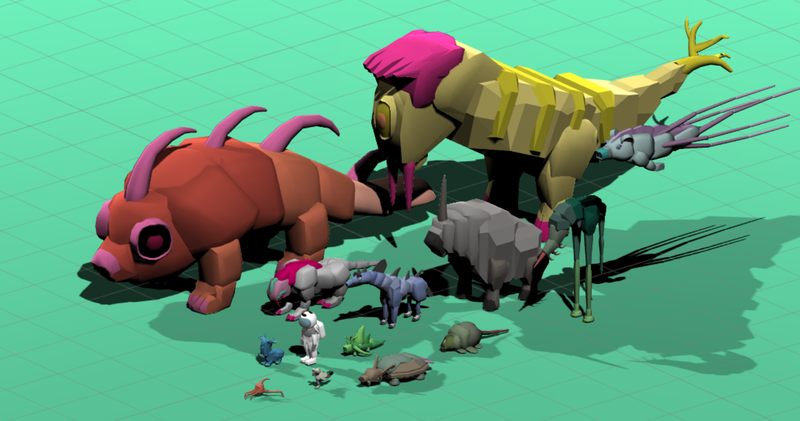 One feature of any environment is the AI of its critters and creatures. On earth and in our reality, you enter a forest, you see a squirrel, you wave at it, and it runs away because your big hands are fearsome. We want to mimic this kind of interaction, but without your big hands.